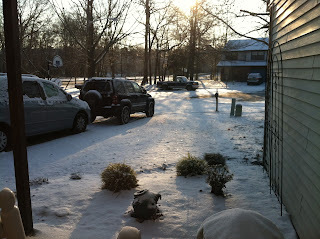 I have heard person after person talking lately about how we used to get snow in NJ but not much any more. It seems that someone must have heard this complaint and decided to do something about it. In the past few weeks we have had numerous snowfalls. They have been VERY small but that's just fine for me!